Location: Any familiar location, such as the house, yard or familiar training area. All exercises off leash except where indicated. Equipment: Cones (2-3), target, jump, retrieve object. Optional: Distance platform (3), distraction bowl. Cues: All cues at this level may be verbal and/or hand signals. Reinforcement: Four external reinforcers (including two distraction reinforcers) located off the handler’s body. 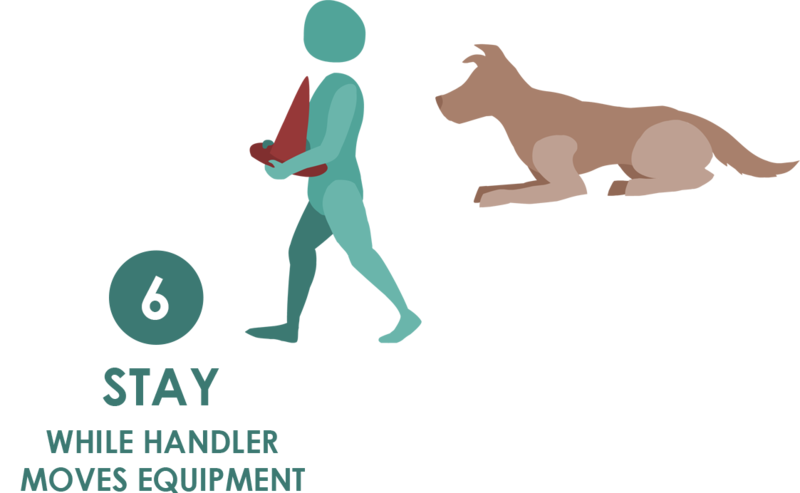 Handler may use external reinforcers (food or toy) to reward the dog’s behavior for up to four exercises. The reinforcer may NOT be kept on the handler’s body, will be kept in one location, and must be located within the video testing area. 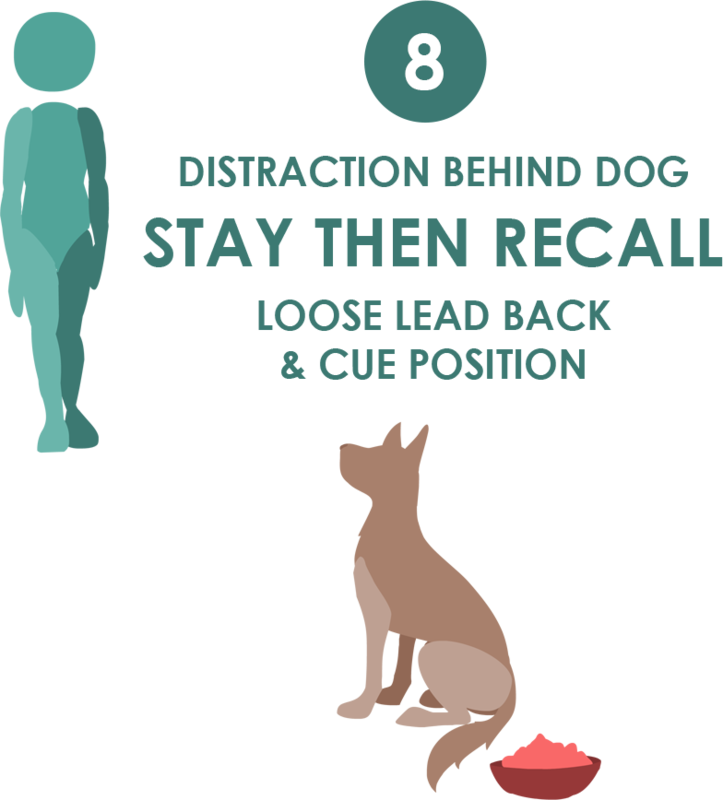 In exercises where a visible distraction is required, then the distraction, when given to the dog, IS counted as one of the external reinforcers. The reinforcer MUST be the same food or toy that is used in any distraction work. One reinforcer = one food reward OR ball toss/toy play up to 10 seconds. 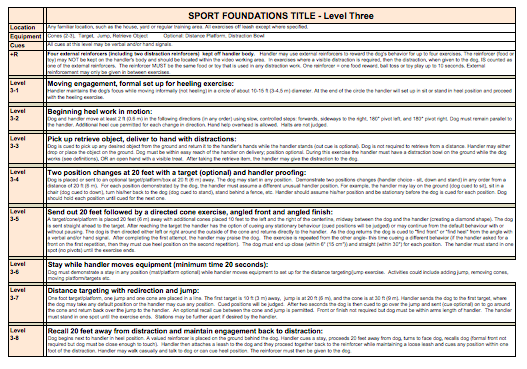 Reinforcement may only be given on the completion of the exercise. 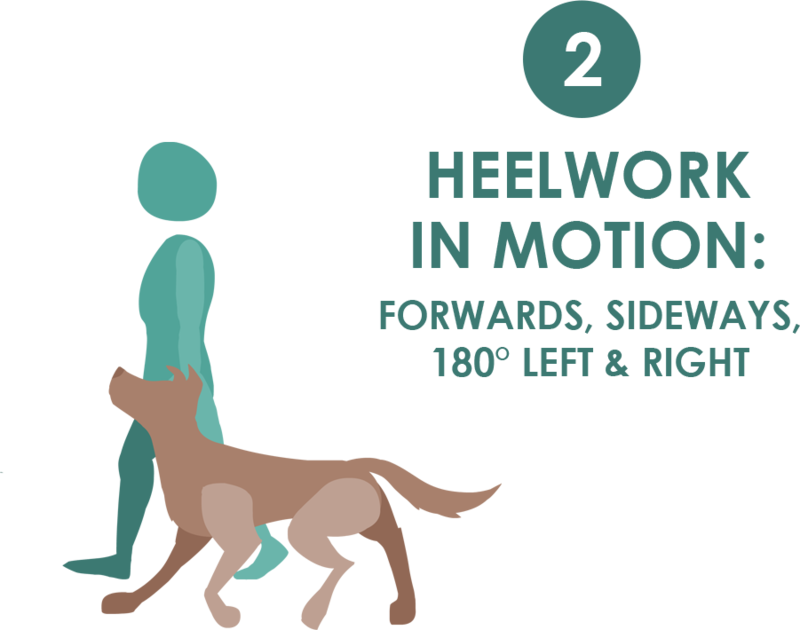 Note: Dog’s default position at heel is stand. Note the minor error on the final exercise (extra cue before release to distraction). Chloe Pass. Note the backup in exercise 3-2, Heelwork in Motion, is not required. Handler maintains the dog’s focus while moving informally (not heeling) in a circle of about 10-15 ft (3-4.5 m) in diameter, followed directly by setting up for the heeling exercise. 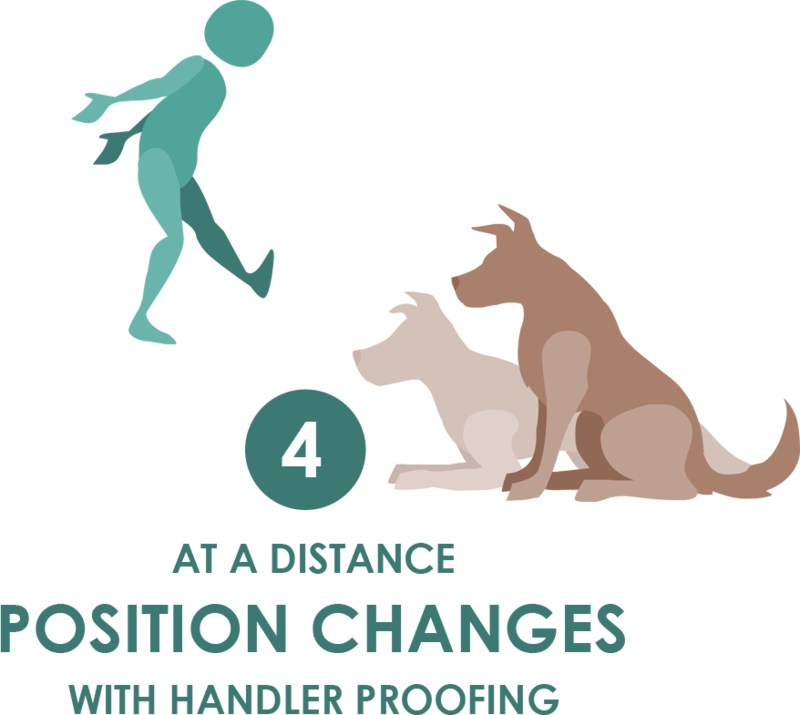 Dog and handler move at least 2 ft (0.6 m) in the following directions (in any order) using slow, controlled steps: forwards, sideways to the right, 180° pivot left, and 180° pivot right. Dog is cued to pick up any desired object from the ground and deliver to hand in the presence of distractions. Dog demonstrates any two positions at 20 feet (6 m), while the handler assumes different (unusual) positions. Use of a target is optional. 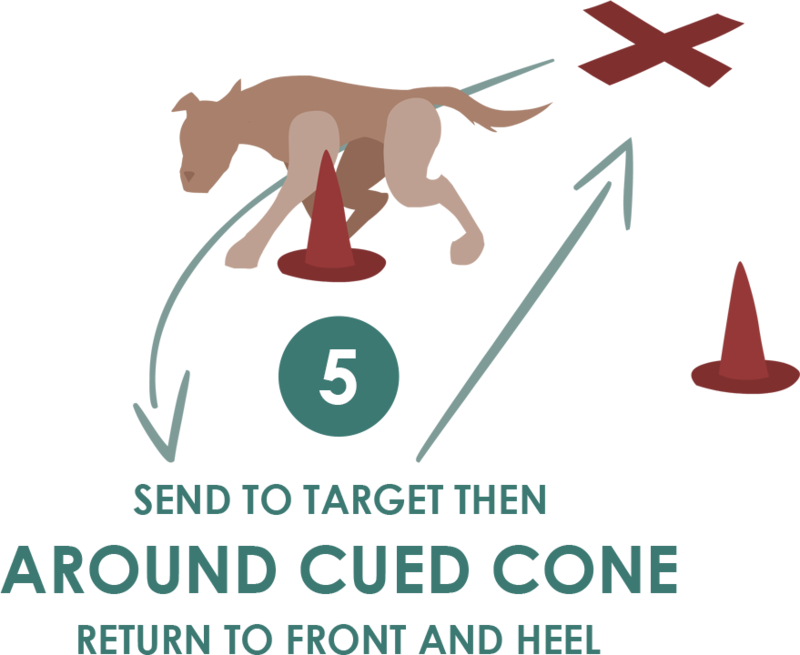 The dog is sent straight ahead to a target and is then directed either left or right around the outside of a cone. The exercise is performed twice, once with the dog returning to “front” and once directly to heel position. Dog must demonstrate a “stay” in any position (mat/platform optional) while handler moves equipment to set up the distance targeting/jump exercise. A foot target/platform, a jump and a cone are placed in a line. 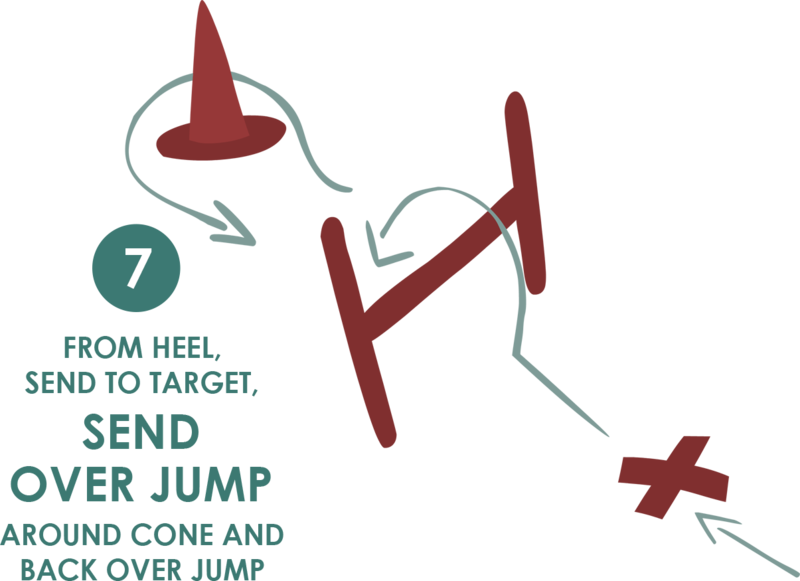 Handler sends the dog to stop at the first target then cues the dog to go over the jump, around the cone and return back over the jump to the handler. With a distraction behind the dog, the handler recalls the dog, attaches a leash and then returns to the distraction with loose leash and then cues one position next to the distraction.